Dr. Severin Beucker is co-founder and CEO of the Borderstep Institute, where he is responsible for organization and international partnerships. He has conducted numerous research projects and innovation and policy analyses for European and German institutions. His research emphasizes the analysis and support of innovation networks in complex technology development processes. He has extensive knowledge about business models, resource productivity, and the cost-effectiveness of new technology, particularly in sustainable and smart solutions for energy production and consumption. Since 2012, Beucker has been visiting professor at Carl von Ossietzky University of Oldenburg, where he teaches innovation and cooperation management. He holds a master’s degree in Environmental Engineering from the Technical University of Berlin. From 1999 to 2006 he worked for the Institute for Human Factors and Technology Management at the University of Stuttgartand for the Fraunhofer Institute for Industrial Engineering. In this position, he managed research projects in the public and private sector and led research teams and task forces on technology management at the Fraunhofer Society, one of Europe’s largest organizations for applied research. 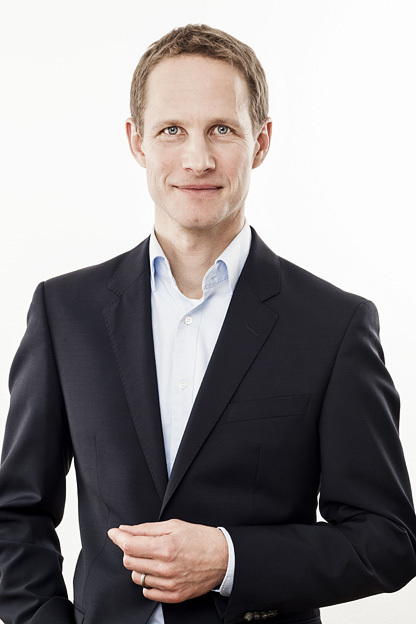 He completed his doctoral thesis in engineering science in 2005 at the University of Stuttgart. Beucker spent several years abroad in European countries, Latin America and the US. He is member of several international organizations such as with a UNEP Working Group of the International Resource Panel. He can communicate in English, Spanish and French. Severin has strong ties to California, where some family members live. He is a passionate rock climber and mountain biker.